The UAW has been pushing for what seems like an eternity to be declared the sole union recognized by VW at its Chattanooga plant that would create a German-style works council. However, the formal request that the UAW has made to be the only representative of VW’s employees has been denied by Volkswagen. Naturally, the UAW isn’t super pleased that VW will work with both the UAW, which represents 55 percent of the workers at the plant, and the American Council of Employees, another union that has at least 15 percent (and as much as 30) of the workforce under its umbrella. 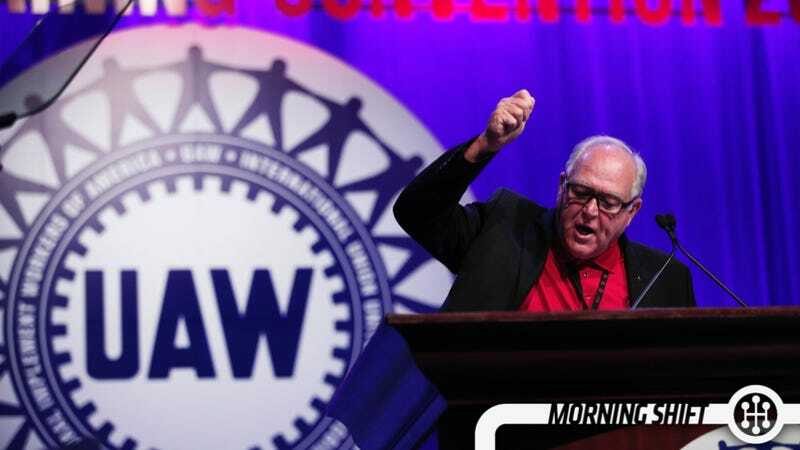 The UAW was denied last year as the sole union in an election as well by about 90 votes. The UAW will continue pushing to organize the entirety of the workforce at the Tennessee plant while VW will continue to work with the others that want to represent employees at the plant. While they didn’t announce this during their earnings call the other day, Tesla has purchased Riviera Tool, which is one of their stamped parts suppliers. Tesla bought the company to bring more of its operation in house as they ramp up to try and sell 55,000 cars in 2015.Tesla will rename Riviera as Tesla Tool and Die. It plans on keeping all 100 employees as well as expanding the plant and employees. This will be Tesla’s first manufacturing operation in Detroit. They did not disclose just how much the deal cost. 3rd Gear: Fiat Chrysler Earned A Ton Of Money... Or Did It? In the first quarter of 2015, the company formerly known as Chrysler made a profit of $2.6 billion. That’s pretty good, especially since they lost $690 million in the same time period last year. This profit was made almost exclusively over a change in tax status. That change made them a $2.3 billion windfall. Their actual profit was $312 million thanks to some really thin profit margins, even though they sold six percent more cars than they did the year before. What would cure those profit margins is the merger that Sergio Marchionne wants so very badly. GM wants to have 500,000 electric or hybrid cars on the road by 2017. It was an ambitious goal, and now GM has admitted that it seems very unlikely that they’ll be meeting that goal. At the end of 2014, GM had about 181,000 electrics or hybrids on the road. That’s 30,000 more than they had the year before, but that means they need to sell 100,000 per year for the next three years in order to meet their goal. And with sales of the Volt faltering and lower gas prices, that might prove to be nearly impossible. Hopefully, for GM’s sake, they can get that turned around. 5th Gear: Uber Wants To Buy Nokia’s Maps? Audi, Mercedes, and BMW all want to buy Nokia’s mapping app to shut down Google maps. But now there’s reportedly another bidder out there. Uber. And apparently the offer is for $3 billion. Now, what’s weird is that Google is a rather heavy investor in Uber, so why would they want the company to go for a different map instead of integrating Google Maps into the experience? The good thing is that the maps could only be better than what Uber has now, which is literally garbage. Will the UAW become the sole bargaining partner at VW’s Chatanooga plant?